Eating healthy travel food can be difficult while you’re on the go, even when you’re already eating healthy on regular days. It’s easy to succumb to fast food because that’s the easiest available option. But with a simple planning in advance, keeping up with a healthy dietary intake is very much manageable. But what food you can get that are easy to bring, but chock-full of nutrition for you to eat as you journey? In general, eggs are an excellent source of proteins, and hard boiled eggs even more so. Eggs are a staple for breakfast, but it’s a good food to eat throughout the day. Hard-boiled eggs are particularly easy to eat. Not to mention filling, and extremely nutritious. Eaten as snacks, even just one egg is already very filling and will last you well into the next meal time. Hard-boiled eggs are very portable and you can eat them virtually anytime, anywhere, making it an excellent choice for healthy travel food. Make sure not to peel hard boiled eggs if you’re going to bring them on your travels. Egg shells are the best form of protection for the content. Your eggs will spoil faster if you peel them. 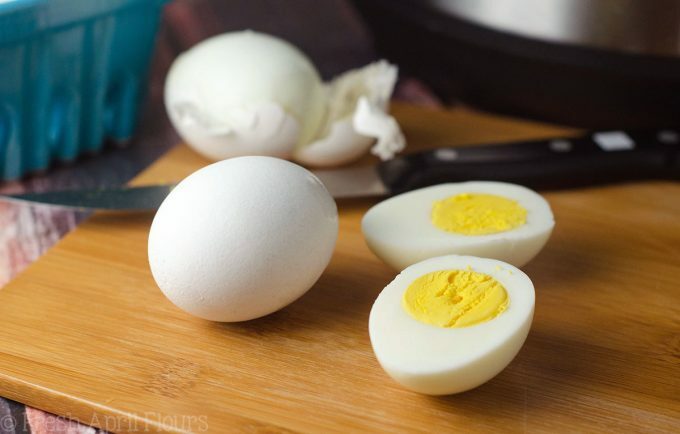 Hard-boiled eggs have a good shelf life in which they could last approximately 1 week with their shells. While it’s not mandatory, it’s a good idea to bring your eggs within an airtight container. This is due to the fact that eggs are able to absorb the surrounding smell and taste. This is something you should take note if you bring other food as well. 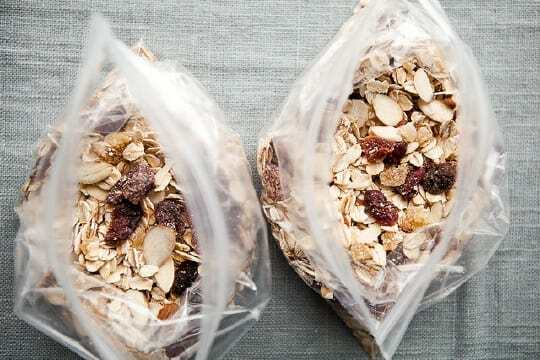 Oatmeals are super easy and super quick to make and are easy to pack into your bag. Just instant oatmeal is already chock-full of nutrients and fibers. There is even oatmeal kit where you have dried fruits or peanut butter as the dressing. All you need to eat your oatmeal is hot water! Eating granola will make you feel satisfyingly filled. Granola has a higher density in calorie compared to oatmeal. That does not altogether mean granola is a lesser option. People have a misconception towards calorie. Avoiding it while it’s actually the primary source of energy the body needs. A good pack of granola is rich with fibers and good calories. Hikers like to carry them in their bag for a quick, filling meal that actually contains the nutrition they need as it’s known to be a quick source of carbohydrate. 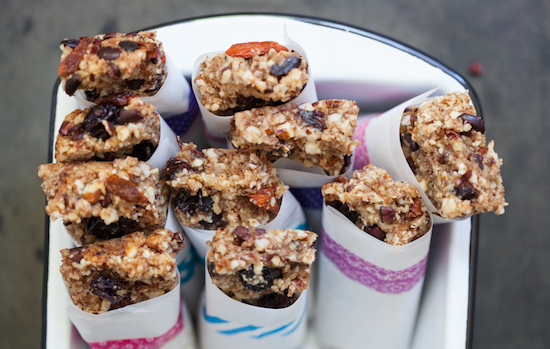 Convenient and nutritious; oatmeals and granola are perfect for healthy travel food. Apples are delicious and are a good source of energy. It’s one of my favorite healthy travel food of all time. Just one fruit is already pretty filling. Compared to many fruits that are known to bring you a good satiety level, apples are not so easy to perish, say, compared to banana. It’s a great breakfast option for their energy content. Apples are also great for snacking in between meals. It’s perfect to fill you without making you feel bloated thanks to the fiber and water content, unlike heavier ingredients like eggs, for example. Apples have high sugar content, however, their glycemic index is low. The glycemic index of apples ranges from 29 to under 45. Glycemic index indicates the rise in blood sugar levels, and the lower the index, the better. 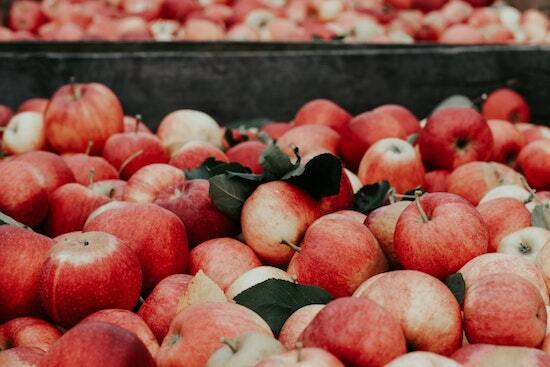 Apples content high fibers and polyphenol that slows the digestion of carbohydrate and therefore, does not raise blood sugar levels despite its sugar content. Apples are plain impressive. Healthy travel food really does not get better than this. You can get apples virtually anywhere you travel. Apples are known to be high in vitamin C, antioxidants, and fibers. Similar fruits to apples that are just as good and filling are pears and rose apples or Java apples. You won’t have to worry about your nutrients much once you have an apple or two in your bag! Also read: How to Meet Local People During Your Travels? Easy to bring anywhere and does not take up much space, dark chocolate is just perfect for snacking in between meals. Make sure that you buy chocolates with a high cocoa content of 90% and above. A dark chocolate bar is a good and super delicious healthy travel food to fill you at any time of day. Cocoa is also known to improve brain function. It contains a small amount of stimulant like caffeine, however, the amount contained is definitely not enough to keep you awake at night. Dark chocolate has numerous benefits for your body during your travels. It’s known as one of the best sources of antioxidants. Unprocessed cocoa beans are one of the best food that has been tested for their antioxidant levels. Dark chocolate also contains fatty acids for your health. With all the great nutrients, dark chocolate is the most convenient go-to for healthy travel food you can enjoy at any time. The flavanol content in cocoa is known to improve blood flow to the brain. No guilt about eating a bar of chocolate, it’s a healthy travel food that’s as easiest it could get when it comes to portability. Note that dark chocolate should be consumed in moderation, because hey, it’s easy to overeat! This popular hors d’oeuvre is easy to obtain anywhere, and it’s an excellent option for your healthy travel food. The pungent hint of anchovies from Worcestershire sauce or actual anchovies used in the making is what makes this salad distinct. The romaine lettuce contained in Caesar salads is rich with vitamin C, calcium, vitamin A, and vitamin K, among other nutrient content. Because of the sturdy leaves, romaine lettuce is also a great option for wrappings. Put your fillings such as shredded chicken meat, cheese, and whatever sandwich-like ingredients you’re in the mood to eat. Then wrap in the highly nutritious romaine leaves, and you have a meal rich with fibers that you can easily bring anywhere! 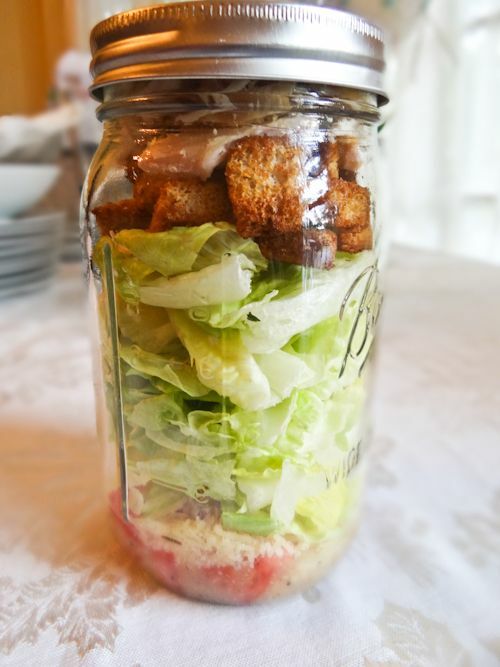 You can also put caesar salad in a jar, and you’re good to go. 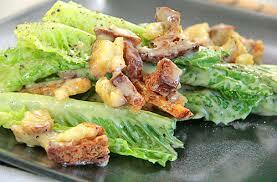 Caesar salad is also easy to make if you stay at a hotel or an apartment rental with a kitchen. Shop at the closest local market and you’ll be able to eat Caesar salad every morning for a refreshing meal! It’s an excellent option for a nutritious dinner that won’t make you feel bloated before sleeping. Eating light at night is one of the keys to keep being fit. During the night, you get lower satiety level and it’s easy to keep eating snacks after snacks. Having light meals such as salad during the evening is an effective way to downsize the effect evening overeating has on your body. This is especially important as during travel your body is working harder to adapt and to keep the all of the functions well and working.